November was National COPD Awareness Month. Today an estimated 210+ million people suffer from COPD, and the number of people with this disease is increasing. 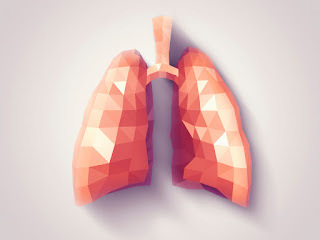 Chronic obstructive pulmonary disease can refer to several progressive lung diseases, including emphysema, chronic bronchitis, refractory (non-reversible) asthma and some forms of bronchiectasis. While COPD remains the third leading cause of death in the United States, today we have some of the best and brightest minds working on ways to treat and prevent COPD and ways to improve the lives of those who currently suffer from it. Thanks to the efforts and donations of groups and individuals throughout the year, and especially during National COPD Awareness Month, this research can continue. We’ve picked some of our favorite COPD Awareness Month initiatives and groups to help you learn more. Organized by the Global Initiative for Chronic Obstructive Lung Disease (GOLD), World COPD Day was on November 18th this year and was a day dedicated to improving awareness and care of COPD patients around the world. GOLD provided fundraising activity ideas that individuals, groups, patients and healthcare providers could take advantage of. This year’s theme was “It’s Not Too Late” – a positive reminder that meaningful actions can be taken before and even after a COPD diagnosis. Since 2004, the COPD Foundation has focused on speeding up innovations and making COPD treatments both more effective and more affordable. The COPD Foundation hosts events throughout the year and provides resources to help individuals and small groups host their own local fundraisers. This year the foundation partnered with many respiratory health organizations throughout the month of November to host various online and in-person activities that allowed COPD community members to rally, inform and support one another. The National Heart, Lung and Blood Institute hosted the COPD Learn More Breathe Better Campaign, which sought to increase COPD awareness, increase understanding that it is preventable and treatable and encourage people most at risk to talk to their doctor and take a simple breathing test to assess if they have or are at risk for developing COPD. Whether you’re looking for a support network or campaign materials, the NHLBI can help. The Lung Institute is focused on discovering and providing stem cell therapies and other forms of regenerative treatments for lung disease. This institute strives to help COPD patients breathe easier and, in November, published a series of blogs written to inform and educate readers about COPD. They’ve shown support for World COPD Day and have participated in the Twitter movement to bring awareness to the disease with #COPDAwarenessMonth. Although not exclusive to November, the Better Breathers Club is worth a spot on the list. These clubs are organized through the American Lung Association to provide COPD sufferers the opportunity to meet up regularly with others who have the disease for support and daily living tips. Sharing your story and talking with others is a great way to improve both your health and mood, so if you feel alone in dealing with this disease, consider attending a Better Breathers Club meeting in your area. Know of a local COPD event that impressed you? Let us know in the comment section!